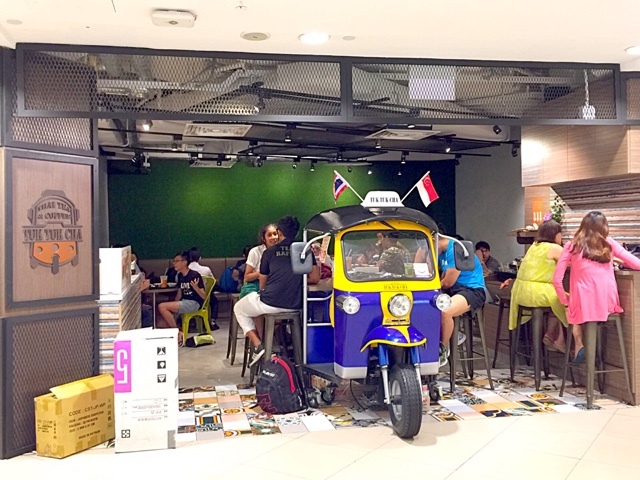 Tuk Tuk Cha - Shibuya Toasts and Thai Beef noodles so authentic you thought you are in Bangkok! Yo peeps! Today, I want to share with you my new love - Tuk Tuk Cha. It is tucked in a corner of Junction 8, populated by the youngsters probably because of the affordable food. Stepping into TTC always gives me a feeling away from home - the Thai music, service staff who speak Thai accented English, dark and unkempt yet clean furnishings, reminds me of any quick stop restaurants in Chatuchak. And I find that so cool ... I love Bangkok so this place brings back lovely memories. 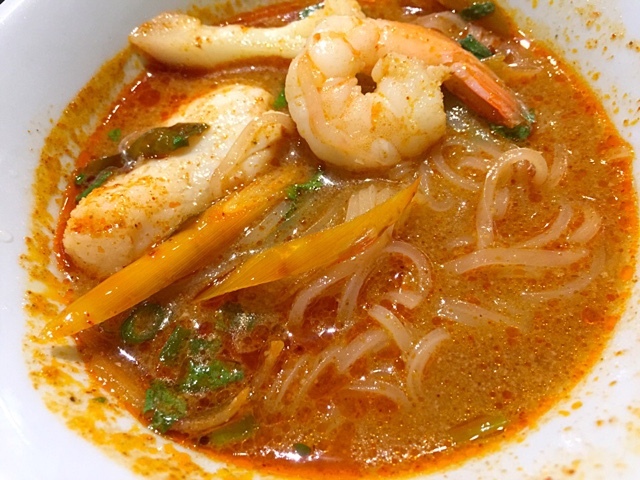 The variety for main meals is very limited - beef noodles, chicken noodles or Tom Yum noodles. 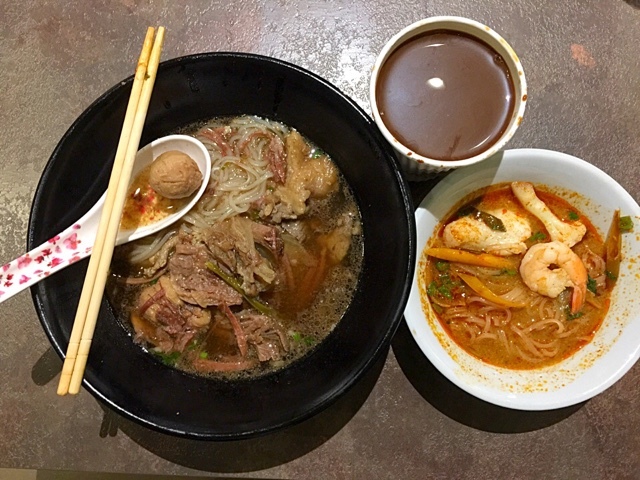 I always order a big bowl of beef noodles (S$8.80) and a MINI bowl of Tom Yum noodles at (S$1.90). I took a picture of the mini bowl and big bowl with a cup of coffee to compare the sizes. I find this idea so ingenious! Perfect for teabreaks! 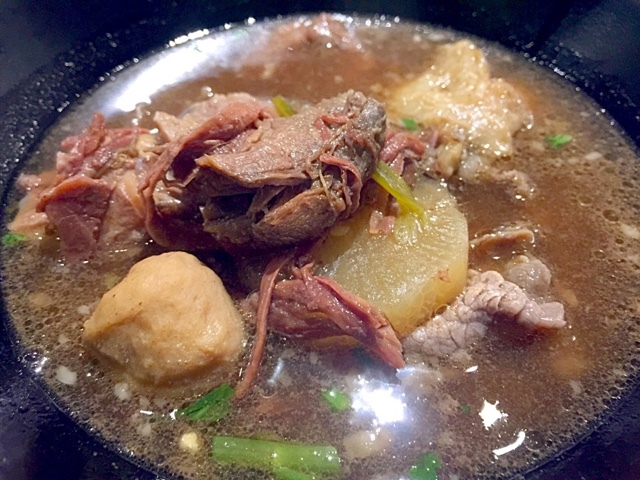 I love the thick and soothing beef broth which tasted so authentic every time I visit TTC. For people who are very health conscious, the broth might look a tad too oily, but perfect for me. The flavour is very strong-just think salty, beefy and satisfying. They are also very generous with the meat. You can ask for soup refill. For below 2 bucks, you get a piece of fish, prawn and a small piece of cauliflower. Surprise Surprise! TTC serves Shibuya Toasts! I ordered the Chocolate Goodies (S$11.50) as it looks safest! The other flavours are Tuk Tuk Matcha (I am not a big fan of Matcha flavoured desserts. ), Aloha Coconut (Looks heavenly) and Mango Tango. What can go wrong with chocolate? Indeed, every mouthful was exactly how I have imagined it would taste like - chocolaty with crispy toast. I was pleasantly surprised because the crisped toast has a fragrant sweet taste. It could be condensed milk; I am not sure. 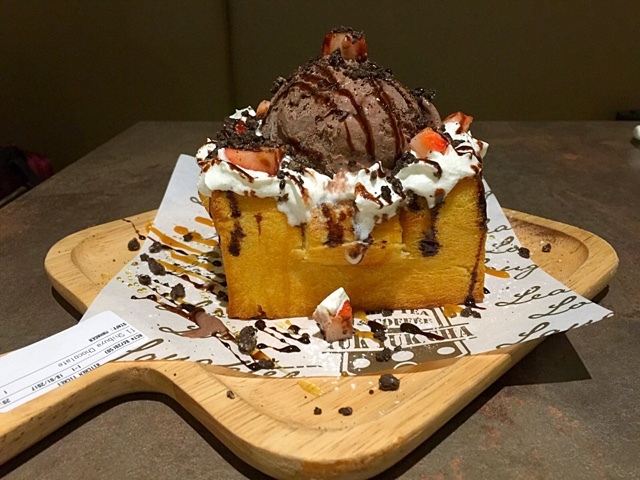 The combination of the chocolate ice cream, strawberries and crispy toast is definitely a good finale to my Thai meal. Although TTC variety for the mains is limited, it has a wide variety of drinks and desserts. As for service, it is NA cos it is self-service. You queue to order, you pay, you wait for your number to be flashed on the screen, you collect your food. Sometimes, you have to clean the tables too! Another plus point that keeps me coming back is their Thai Milk Coffee - just the right balance of aroma and sweetness.